It’s a tragic roll call of the great overlooked bands of the 1980s – Jason & the Scorchers, the Del-Lords, Walk The West, the Cruzados, the Long Ryders, and Stealin’ Horses, among many others who were bloodied by ignoble clashes with ignorant label execs and brutalized by largely indifferent mainstream audiences in thrall to MTV-approved punk poseurs and nerf-metal. 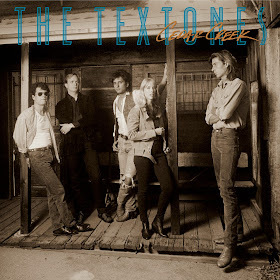 Of all the roots-rock-oriented young rockers roaming the musical landscape during the Reagan/Bush era, none were treated more egregiously, perhaps, than the Textones. Much like their aforementioned fellow travelers, the Textones were undeniably influenced by Dylan, the Byrds, and the Flying Burrito Brothers; sadly, not unlike many of their colleagues, the Textones were “one and done” with their major label career, and only managed to release two obscure, albeit acclaimed albums during their too-brief existence. 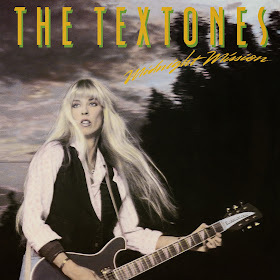 The Textones were formed in 1978 by singer, songwriter, and guitarist Carla Olson, who had moved from her Austin, Texas hometown to Los Angeles with friend and bandmate (and future Go-Go’s member) Kathy Valentine. The original band line-up included bassist David Provost (who would later join the Dream Syndicate) and drummer Mark Cuff, both of whom were shunted aside in favor of former Dwight Twilley Band drummer Phil Seymour and bassist Joe Read when it came time to record. The addition of talented guitarist George Callins and multi-instrumentalist Tom Junior Morgan (primarily saxophone, but also keyboards) perfected the band’s chemistry, and by the time of the 1984 release of their debut album, Midnight Mission, the band had developed a well-honed and unique sound. 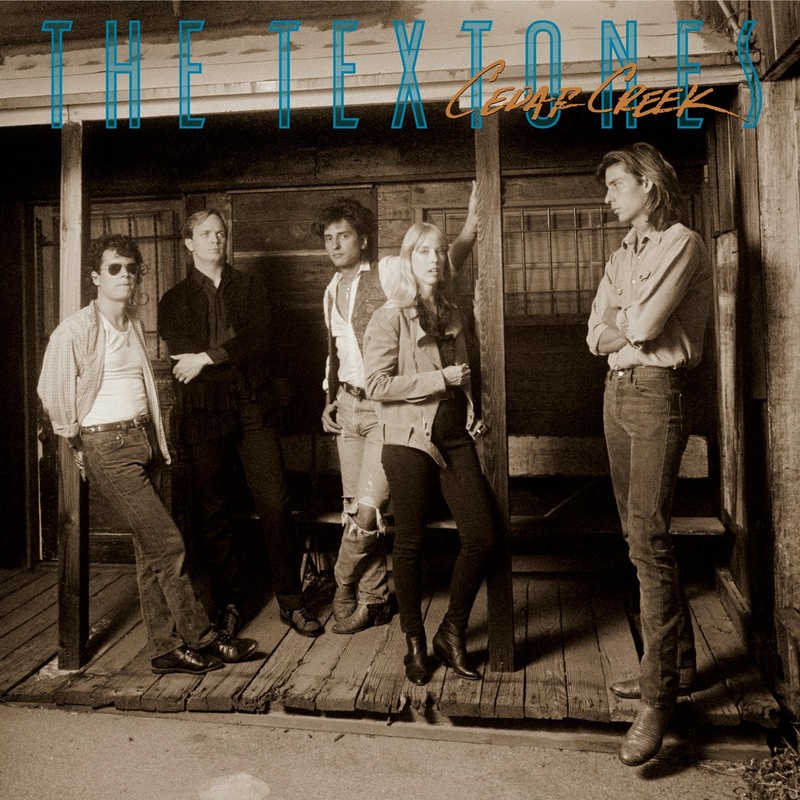 The problem, though, was that the Textones’ sound was a little too unique to easily pigeonhole, a necessity if unimaginative label execs are going to pitch your band to radio and MTV (which, believe it or not, was a major player in breaking bands during the ‘80s). The band was signed to Danny Goldberg’s A&M Records-distributed Gold Mountain label, working with Chicago blues veteran and former Electric Flag member Barry Goldberg as producer on their debut. Goldberg largely eschewed the studio clichés of the decade in recording the Textones; his wall of sound production technique largely capturing the band’s polished but energetic musical style. While the band’s often left-leaning lyrics, and curious musical blending of the Byrds, the Stones, and Springsteen clearly placed them in the easily-marketable “heartland rock” category, the Textones’ intelligence, sensuality, and punkish intensity was clearly lost on label personnel who didn’t have a clue to share among themselves. Midnight Mission opens with the overtly political “Standing In The Line.” A cheeky commentary on the materialistic pursuits of the Reagan era, Olson’s trebly, passionate vocals soar above the musical din. While the lyrics display a certain distraught perspective, the swells of instrumentation and Olson’s own forceful vocals add a sort of triumphant defiance to the song, a jangle-pop message of hope amidst the ruins. “Hands of the Working Man,” co-written by Olson and saxophonist Morgan, is cut from similar cloth. A working class anthem that relies heavily on Olson’s trembling, emotional vocals, the song features scraps of wiry guitarplay, some interesting musical swerves, and Morgan’s soulful saxwork, which clearly places the tune in the Bob Seger/Bruce Springsteen/John Mellencamp realm of rust belt blue collar blues. Tom Petty and the Heartbreakers had nothing on Carla Olson and the Textones, who delivered a decidedly Petty/Dylan doppelganger in the love-gone-awry rocker “No Love In You.” With some nice harmony vocals and an infectious rhythm, Olson knocks it out of the ballpark with her tortured vocals, which are nicely assisted by Morgan’s mournful sax. If any of the suits in the suites at A&M Records had possessed half a brain, they’d have released “Running” as the lead-off single from the album. An odd cover tune among well-written originals, “Running” offers up one of Olson’s best vocal performances nonetheless, the song’s big beat percussion and smothering melody, combined with Morgan’s blaring sax, clearly marking the band as ready for prime time. Olson touches on ill-fated romance again with the mid-tempo tearjerker “Number One Is To Survive,” which received some scattered college radio airplay at the time…‘twas a shame, too, ‘cause aside from Olson’s heartbreak vox and poetic lyrics, the legendary Ry Cooder adds some tasty slide guitar alongside Goldberg’s flowing keyboards, Olson getting in some guitar licks of her own that reveal her underrated talent with the instrument. The band acquits itself nicely in creating a rambling, roots/country-rock vibe that suits the lyrical subject matter perfectly. Olson’s old Texas buddy Don Henley (yes, that Don Henley), lent his backing vocals to the twangy “Midnight Mission.” Another whip-smart slab of social commentary, Olson’s hearty vocals sound at times like Chrissie Hynde of the Pretenders while the music provides an effective, folk-influenced framework for Olson’s not-so-gentle dig at the Reagan administration’s policy of putting spending for war above the average American’s need for jobs, homes, and food. While it seems like such populist sentiments would sound out-of-date in the 21st century, one only need to look around at the dwindling social welfare safety net and growing national security state to see otherwise. There’s a lot of romantic turmoil apparent in the grooves of Midnight Mission, and Olson’s “Luck Don’t Last Forever” offers an insider’s reflections on the battle of the sexes. Guitarist George Callins gets some nice licks of his own in here, Morgan’s sax provides an emotional backbone for the song, and Olson’s effective vocals walk the fine line between anger and tears while the rhythm section offers a rock-solid backdrop for it all. After she appeared in a Bob Dylan video for his song “Sweetheart Like You,” the Scribe gave Olson the unreleased “Clean Cut Kid,” which the Textones gladly took and ran towards the goal line with. Provided a twangy, Stonesy vibe, “Clean Cut Kid” is built upon a fractured melody that Olson transcends with her gymnastic vocals while Goldberg lays down some honky-tonk style ivories and Cooder rips off some subversive slidework. This reissue of Midnight Mission also includes five well-chosen bonus tracks, including Callins’ power-poppy “It’s Okay,” a wonderful tune with lofty harmony vocals and a melody that brands itself on your soul, and “Just A Matter of Time,” showcasing the rare vocal by Phil Seymour, the song itself is a delightful jangle-pop gem with a driving rhythm, enchanting harmonies, and mesmerizing fretwork riding low in the mix. A live recording of “Running,” in spite of its bootleg-quality sound, provides the sort of high-energy charisma and magic that I remember from seeing the band perform live some three decade ago. Although the Textones’ debut LP received widespread critical acclaim, with many writers (the Reverend included) picking Midnight Mission as one of the year’s best releases, kind words don’t necessarily sell records and, as A&M Records displayed willful disinterest in the band’s fortunes, the Textones found themselves on the outside looking in when they were dropped by the label. They suffered another blow when Seymour took ill and had to leave the band, to be replaced by drummer Rick Hemmert. The core of Olson, Callins, Read, and Morgan remained the same, however, and after a period of lengthy touring in support of their debut LP, they went into the studio to record their sophomore effort, Cedar Creek, as a more confident and road-tested outfit. The album was released in 1987 by the Capitol/EMI-distributed indie label Enigma Records, which was flying high at the time with bands like Game Theory and the Smithereens on its roster. While Olson had a kit bag full of songs at the ready for Midnight Mission, she had to rely on her talented bandmates for material to flesh out Cedar Creek. Whereas the debut featured six Olson originals or co-writes among its ten tracks, she had only five originals for album number two, including an old tune written with former bandmate Kathy Valentine. No matter, tho’, because from the opening chords of Joe Read’s “Not Afraid,” one knows that the band is in good hands. A little rougher, perhaps, than the love-gone-wrong songs on their debut, “Not Afraid” mixes a bit of jangle-pop with a more muscular rock ‘n’ roll underpinning, Olson’s wavering vocals effectively doubled by the band’s backing harmonies, Callins’ adding some subtle slide guitar licks alongside Morgan’s swinging sax. Olson’s “Every Angel In Heaven” evinces a Stax Records influence alongside a Southern rock swagger. Members of the gospel Waters family provide haunting backing vocals behind Olson’s emotional performance on what seems like a semi-biographical set of lyrics. It’s a rather sophisticated song, really, its fragile vocals dependent on the band’s strong rhythmic backbone to fuse all the disparate elements together while Callins’ skilled fretwork provides the glue that holds the center. By contrast, “Another Soul Searcher” is a tough-as-nails, mid-tempo rocker with Olson’s stark, almost ominous vocals riding her taut guitarplay and the band’s sparse instrumentation to new creative heights. The song’s rapid musical changes make for a wild roller-coaster ride while Olson adds some wicked slide-guitar of her own to drive the point home (proving that Carla and George both paid attention when Ry Cooder was in the studio the first time around). Read’s “One Love” initially sounds like Bob Welch-era Fleetwood Mac until Olson’s soaring vocals swoop in and Callins’ slicing guitars begin chiming like a bell. Morgan’s tasteful keyboard flourishes, an undeniable melodic hook, and the band’s harmony vocals all work together to create a sort of mid-70s throwback sound reminiscent, oddly enough, of Graham Parker & the Rumour. The high-energy “Gotta Get Back Home” displays the spark and fury of Olson’s best originals from the first album, the joyful rocker benefiting from a lively arrangement that evokes thoughts of Tom Petty’s early ‘80s work while presenting an entirely unique soundscape. Hemmert’s energetic percussion is matched in intensity here by Morgan’s frenetic horn and guest musician Ric Albin’s scorching harp play (Albin was the frontman of L.A. band the Droogs, which included former Textones member David Provost at the time). The legendary Ian McLagan adds some of the same red-hot piano-play to the livewire “You Can Run” as he brought to classic recordings by the Faces and the Stones, the song a raucous, chaotic, bluesy romp that displays the band clearly playing loose and having fun in the studio. At first, “Cedar Creek” sounds like it could be a Stones studio outtake, until the intro fades and Olson’s warm voice tells a folksy tale of hard working Americans losing faith in the face of misfortune. McLagen’s piano is more understated here, adding subtle but important flourishes beneath Morgan’s mournful sax and bassist Read’s strong underlying rhythm. Olson turns in one of her best vocal performances here, her voice full of hurt and frustration and anger at how people are treated in this democracy of ours. “We Can Laugh About It” was a song written in the band’s early days by Olson and original Textones member Kathy Valentine, who left in the early 1980s to join the Go-Go’s (taking that band’s hit “Valentine,” originally a Textones song, with her…). With Callins’ chiming guitar strum as a canvas, Olson’s vocals start out small and grow into a force of nature, at their strongest point displaying a wealth of emotion and, at their lowest, a breathtaking lovelorn weariness that is only enhanced by shards of Morgan’s well-timed sax blasts. It’s a beautiful, well-constructed performance that draws on the tradition of Bob Dylan and Gram Parsons, straddling a fine line between country torch song and bluesy rock ballad. This Omnivore reissue of Cedar Creek adds a treasure chest of bonus tracks in the form of a previously-unreleased (but eagerly traded and often-bootlegged) eight-song live 1987 set recorded in Santa Cruz, California. Although the sound is a bit hollow and somewhat cavernous, the band rocks with reckless intensity, cranking out a set that includes five songs from the new album (including a high-octane take of “Gotta Get Back Home” and the equally fast ‘n’ furious “Not Afraid”) along with three from the debut (“Standing In The Line” simply devastating in a live setting).